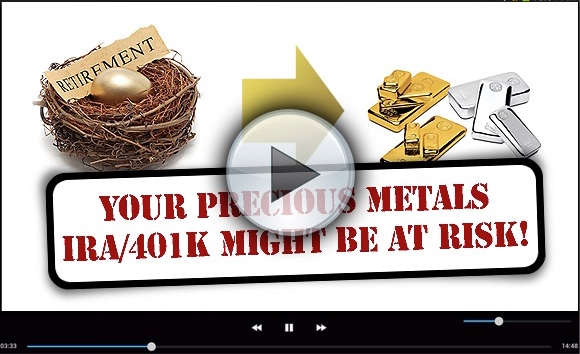 Want to Keep Gold in Your IRA at Home? It’s Not Exactly Legal. Recently our friends at the Wall Street Journal featured an article that contained stern warnings against the “Home Storage IRA” model being pushed by many gold firms. The article was titled, “Want to Keep Gold in Your IRA at Home? It’s Not Exactly Legal”. It featured several legal and IRS opinions suggesting that these accounts require a bank regulated trust relationship in order to be valid. To find out more about this important issue, I invite you to call GSI Exchange today at 800-474-9159. Our experts will help you to establish a bank regulated trust account with no obligation and free of charge. Click here to request GSI’s Exclusive IRA Kit and to find out more about the gold IRA process. With a $20 trillion dollar American debt looming, it is understandable to want to self-insure against tumultuous markets. Our economy is susceptible to bank failures, market crashes and hyper-inflation that has never been seen before. However, governments become desperate in times like these. Protect yourself from potential fees, penalties and stress by assuring that your IRA is bulletproof! Click here to take advantage of our 75 years of experience via our exclusive 100% free IRA Kit.